Not every computer games shop let you load up a game before deciding to buy it. For most of us, we had to buy games blind. You never quite knew what you were going to get. Would it be any good? And if you didn’t quite like it, then tough, you were stuck with it. Most games on sale were programmed in the UK. Overseas titles were thin on the ground, so most people tended to play the output of the UK software houses like Gremlin Graphics, Ocean Software, Llamasoft or Alligata. My local computer shop started to get a trickle of games from an as then unknown company called Epyx. Their games shared a striking style of key art for the box and once again, it was the cool artwork that drew me to Pitstop. 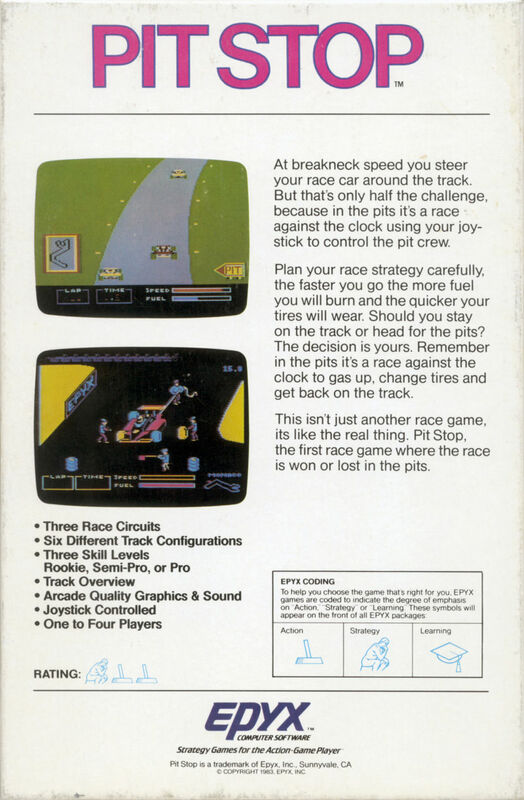 Still hankering after a decent version of “Pole Position” I took a chance on this game. 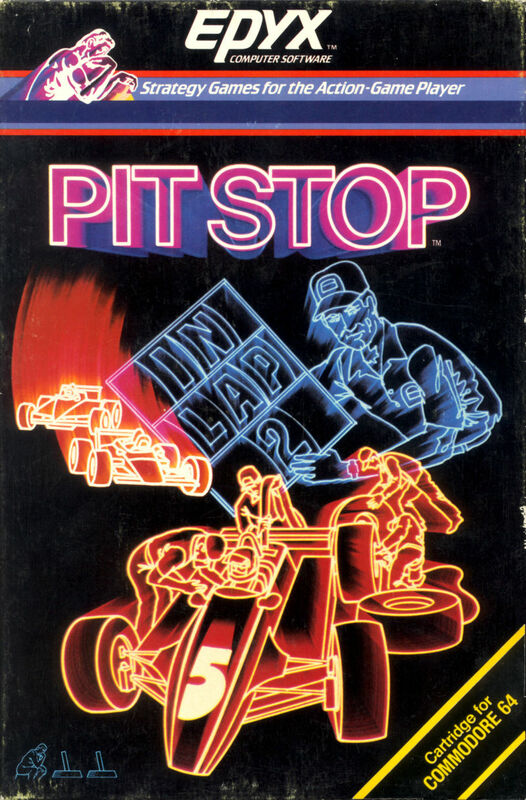 Turned out that Pitstop wasn’t quite the ‘arcade perfect’ or ‘arcade better’ version of “Pole Position” I was dreaming of, but it was pretty good, especially the tyre change sequence. It was a driving game with a thin veneer of depth put into it, a brief dalliance for me with the world of strategy type games that were starting to appear on the market. Whilst you’re here, if you haven’t already please consider signing up our Dangerous Driving Club. See you next week for Part 5.